A day after saying that he didn’t know why Russia would try to interfere in U.S. elections, President Donald Trump reversed course, saying he accepted U.S. intelligence findings that Russia meddled in the 2016 presidential election and that he had misspoke during his news conference with Vladimir Putin, as the WSJ ’s Vivian Salama reports. Dive Deeper : “Trump on Russia: His Strategy Documents vs. His Meeting with Putin,” by CSIS’s Anthony Cordesman. Federal Reserve Chairman Jay Powell warned today that rising trade tensions could hit growth if they resulted in higher tariffs over the longer term, and said he did not view the EU as a “foe,” in contrast with comments by President Donald Trump, as the FT’s Kadhim Shubber reports. Dive Deeper : “Supply Chains,” by CSIS’s William Reinsch. “Trump’s Latest $200 Billion Tariffs on China Threaten a Big Blow to American Consumers,” by Peterson’s Chad Bown, Euijin Jung and Zhiyao (Lucy) Lu. Iran has filed a lawsuit in the International Court of Justice against the United States alleging that Washington’s decision in May to impose sanctions after pulling out of a nuclear deal violates a 1955 treaty between the two countries, as Reuters Toby Sterling reports. Dive Deeper : “Reimplementing Iran Sanctions: Where, How, and How Much?” by the Washington Institute’s Katherine Bauer, Daniel Glaser and Suzanne Maloney. 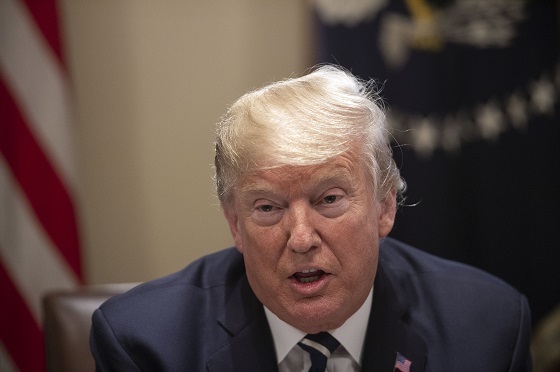 Escalating trade tensions and current protectionist leanings are on track to derail global economic growth and could reduce global output by around 0.5 percent — or about $400 billion — by 2020, according to the International Monetary Fund. 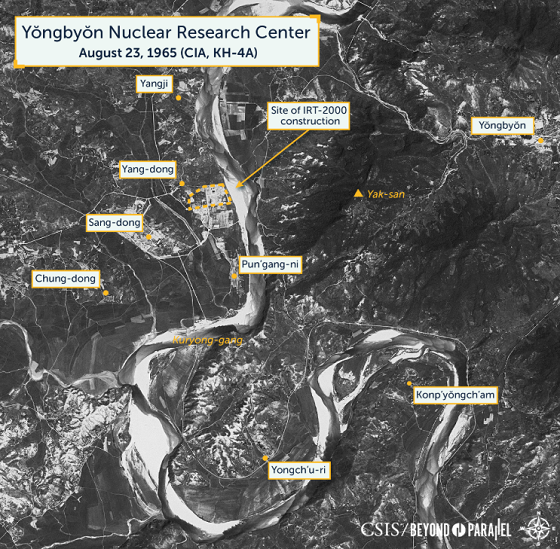 CSIS’s Beyond Parallel program has released additional declassified satellite imagery of a North Korean nuclear reactor facility. See the Yongbyon Declassified Part II: Progress on Building IRT-2000 Reactor here. (Photo credit: NICHOLAS KAMM/AFP/Getty Images). President Donald Trump speaks about his meeting with Russian President Vladimir Putin ahead of a meeting with Republican lawmakers and cabinet members on tax cuts today at the White House. “China can bear more trade pain than America,” by Weijian Shan for the FT.
Join CSIS at 10:30 a.m. for a discussion on the new services and opportunities created for companies and regions as the energy industry continues its trend toward digitalization. At 12:00 p.m., the Washington Office on Latin America (WOLA) will host a conversation on the future of Colombia’s peace agreement, with a specific focus on the impact for Afro-Colombian and indigenous peoples. And at 1:00 p.m., the Atlantic Council will host a discussion on how the U.S. exit from the Iran nuclear deal will affect Iranian and world oil markets. Today, CSIS hosted a conversation on humanitarian assistance in South Sudan, where ongoing conflict has claimed over 300,000 lives. The conversation featured Ambassador Mary Catherine (Molly) Phee, former Principal Deputy Assistant Secretary for International Organization Affairs at the U.S. Department of State. Watch the full event here. On the latest episode of Russian Roulette, CSIS Russia expert Jeff Mankoff sits down with CSIS Europe expert Jeff Rathke to discuss major takeaways from the most recent NATO summit. Let me say something about Mick, too. In addition to being one of the all time great lead singers, he’s also one of the greatest harmonica players. This clip captures Mick, Keith and the Stones in all of their glory.